Strong translucent adhesive that bonds quickly and easily. Bonds to a variety of surfaces. 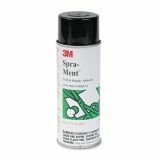 3M Spra-Ment Crafts Adhesive, 10.25 oz, Aerosol - Spra-Ment is super strong for toughest bonding jobs, yet safe for delicate artwork. Low-mist formula grabs and holds almost instantly. 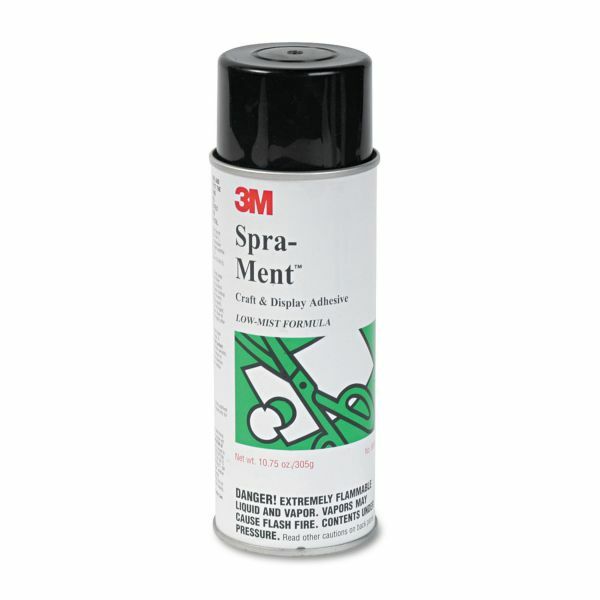 Spra-Ment works on a wide range of materials such as paper, cardboard, cork, fabric, foils, and plastics. Aerosol spray can with nozzle dispenser contains no chlorofluorocarbon propellants.